Cornightmare? BUG ROOM!? Oh yeah, they've got 'em. Well, it's time to dust off the old broom stick, crack open the coffins and summon the undead. The National Zoo's fun-filled Halloween festival is perfect for the little ones. Even the youngest of ghosts and ghouls will enjoy the 40+ stations featured at the Halloween spectacular at the National Zoo (3001 Connecticut Ave NW). You'll find animal demonstrations, keeper chats and decorated trails, along with musicians, jugglers and a DJ spinning Halloween favorites. This is an excellent excuse to bust out this year's costume a few days early. Oct. 23, 24 and 25; tickets $20 for members; $30 for non-members. Hey, this one has even highlighted its non-scariness! Adventure Park USA (11113 West Baldwin Road, Monrovia, Maryland) is throwing a "Not-So-Scary" Halloween Party, transforming the park into a happy home of haunts. The special event returns with both indoor and outdoor attractions for all ages. Guests are encouraged to go in costume and enjoy some trick-or-treat sweets with special guests like Batman, Spiderman, Dora and Diego. Oct. 24; tickets $25 online; $30 at door. If you're looking to get your ghastly groove on this Halloween, check out the Black Cat's Halloween Circus (1811 14th St NW). This year's frightening affair will feature Jonny Grave & The Tombstones, Sara Curtain and Footwerk, plus burlesque with Gigi Holiday and Cherie Sweetbottom. These performers will come together for one night only for a Halloween filled with raucous, raunchy and wild fun. Oct. 31; tickets $10 in advance; $12 date of show. "Walking Dead" fans, rejoice (or shudder in terror) as you prepare to put your zombie-hunting skills to the test. At D.C. Dead: Mutation, you and five other teammates will be equipped with "neurotoxin" darts and sent inside a zombie-infested building. It'll be up to you and your team to find the hidden weapon that will end the invasion of the undead. One part haunted house and two parts interactive theater, D.C. Dead is a thrilling (AKA, terrifying) opportunity to explore the hidden hallways of the Anacostia Playhouse ​(2020 Shannon Place SE). Salvage supplies and work to save humanity, but beware: Flesh-hungry mutants lurk around every corner. Oct. 22-25; Oct. 27-Nov. 1; performances start every 20 minutes and last about 45 minutes; first performance 7 p.m.; last performance 11 p.m. Tickets $35 to start; $40 during Halloween weekend. Explore a variety of shiver-inducing attractions at Field of Screams in Olney, Maryland: the Haunted Trail, the Nightmares in 3D Haunted House, the Hades Hayride and the Paintball Apocalypse, which -- yes! -- lets you fire paintballs at zombies as you ride past. On the Haunted Trail, you'll be able to explore 13 small haunted houses throughout the woods; Nightmares in 3D will have you donning 3D glasses before you creep through a house packed with animatronics and scary sights and sounds. The Hades Hayride features "numerous stations of horror." Just hope your cart doesn't break down! Oct. 22-25; Oct. 29-Nov. 1; attractions $15-$20 individually; value packs $48-$88. Three dimly lit trails winding through Markoff's Haunted Forest (19120 Martinsburg Road, Dickerson, Maryland) are the main attractions at this fright fest. Walking down a dark path into a living scene of nightmares is not for the faint of heart, no matter which of the trail choices you pick. In addition, you can indulge in a dozen other spine-tingling events, from zip lines to zombie hunts. Oct. 22-24; Oct. 29-31; ticket prices vary. Laurel's House of Horror is back for a second season, guaranteeing an experience filled with fright and delight. Visitors should be on the lookout for surprise appearances from "Texas Chainsaw Massacre" series actor R.A. Mihailoff ("Leatherface"). Laurel's abandoned movie theater is (allegedly) notorious for paranormal activity, so expect ghostly encounters when stepping inside for the House of Horror. Oct. 22-25; Oct. 28-Nov. 1; Nov. 6-7; general admission tickets $25. Celebrating 10 season of blood, sweat and fears, Fear Forest is sure to be one of the scariest sites this October. Featuring attractions such as Fear Crops and Haunted Hay Wagon Ride, Fear Forest will have plenty of spooky surprises lurking among the shadows as you travel deeper into the forest. Oct. 22-24; Oct. 28-31; tickets $13 per attraction or $18 for both attractions. 2. Scream City Washington, D.C.
Brought to you by the creators of Field of Screams in Maryland, the 2015 Halloween season will premiere the terrifying Scream City Washington, D.C. Two state-of-the-art haunted houses will be completely enclosed in one location at RFK Memorial Stadium (2400 E. Capitol St. SE). The event may be too intense for young children, so leave kids 13 and younger at home. Oct. 22-25; Oct. 27-Nov. 1; ticket prices vary. Bennett's Curse is one of the best and scariest haunted house attractions, according to Haunt World reviews. The immersive environment creates a premium terror for thrill-and-chill seekers. 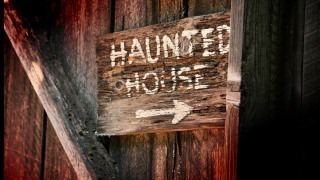 This year, the fright factor will increase with an added a fourth haunted house. Starting with the horrifically epic Medieval Underworld, you must also survive Inferno 3D and the Sanctuary of Insanity, only to end in the new Legends of Halloween. Wondering just how scary this is? Even their website is terrifying. Oct. 22-25; Oct. 29-Nov. 1; Nov. 6-7; general admission tickets $35.